Volunteers assist with many facets of our church life. From our readers, intercessors, servers and ushers who regularly assist in our services, to our fundraising efforts and community outreach, there’s lots to do! St John’s has a fine tradition of music and new members of the choir are very welcome. Cindy Maddison, our Choir Director, would be happy to give information on joining the choir. 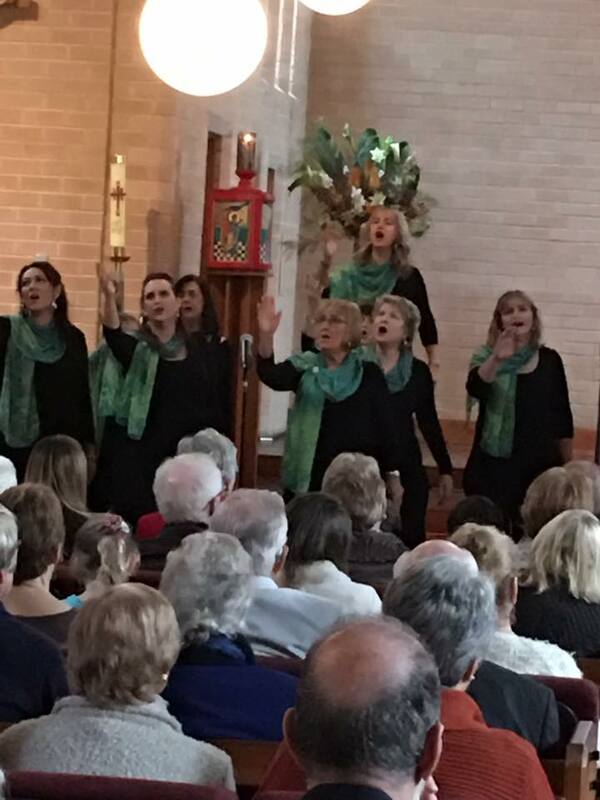 We are a small group of non-auditioned singers who lead the parish in music. The choir is open to all, and we are blessed with a magnificent Fincham organ and great organists. We have a sung Eucharist service at 10am every Sunday where the choir sings psalms in Anglican chant and a communion hymn or anthem. We sing 3 and 4 part musical arrangements, and occasionally our music is accompanied by other instruments. We rehearse at 8pm every 1st, 3rd and 5th Thursday of the month. In the winter we rehearse in the fellowship room where it’s warmer! For further info contact Cindy on 0438 243 242. Do you like arranging and displaying flowers? Please contact us to join our Flower Guild and assist with a few duties each quarter. Interested in helping at our Sunday services? Please speak to the vicar and we’ll be in touch. Helpers are always welcome in washing and preparing our linen for the Eucharist. Please contact us if you can assist. We arrange and present community concerts on Sunday afternoons at St John’s, and welcome interested people to help manage the concerts. Meetings are as required to select and manage the events. Contact Don Mackay for further information on 9723 5067 email Don.